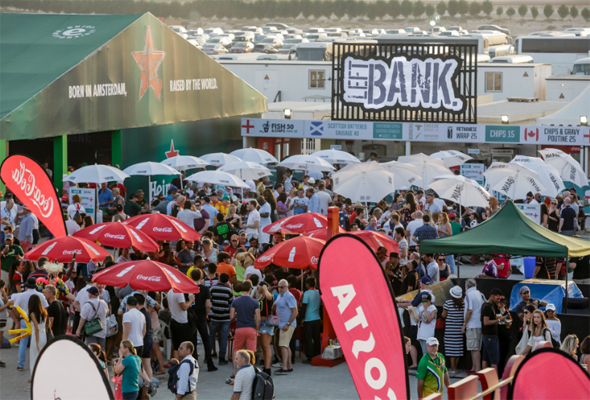 Dubai Rugby Sevens is arguably the most highly anticipated social event in the Dubai calendar, and it’s back this weekend. Whether you’re a rugby fan or not there’s plenty to keep you entertained, from food, music, prizes and of course fancy dress. 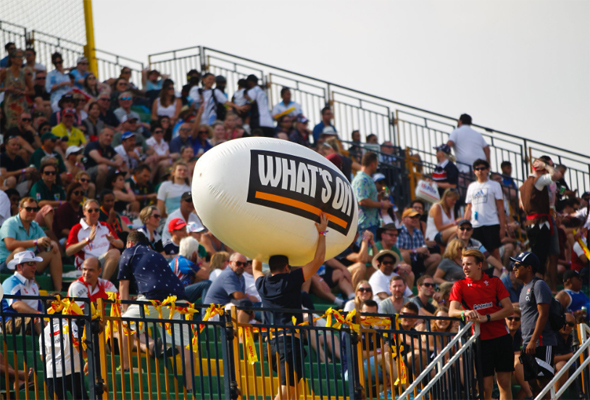 Here’s 10 things to expect from the Dubai Rugby Sevens. With so much happening, you’ll be forgiven for forgetting there’s actually some very competitive rugby matches taking place. You can come and go as you please from the stands and there are family-friendly areas, seating around 2,000 people if you’re not looking to be in the livelier sections. Over the three days there are hundreds of matches, so don’t worry if you miss the start, they’ll be plenty more. The Sevens can be a long day, so fueling up first is a must. Plenty of the city’s pubs put on a special breakfast deal ahead of time, such as McGettigans, The Irish Village and Reform, with some also putting on buses to the stadium afterwards. 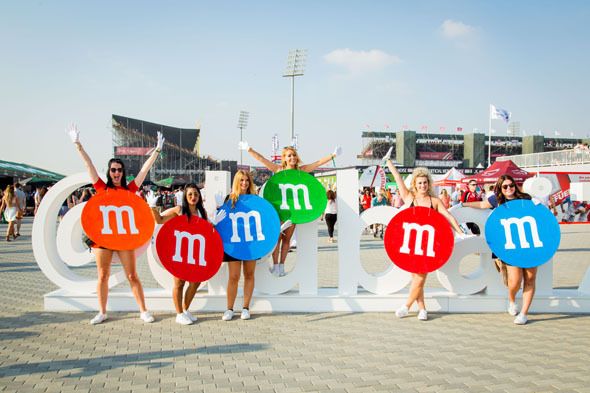 For the first year, there’s a festival going on within a festival at this year’s Dubai Rugby Sevens Rugby Village. 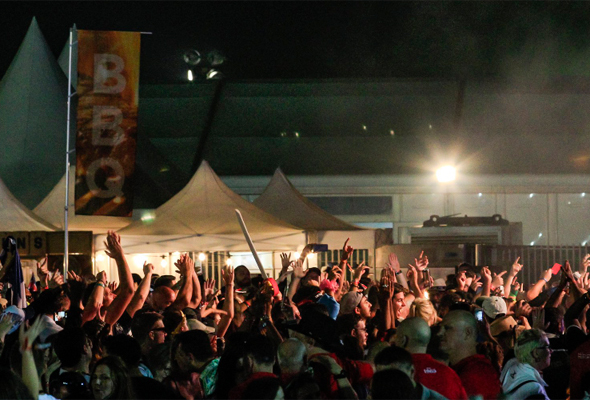 There will be a Green Room, Green Space and The Tavern, each showcasing DJs and live artists over the three days. Expect takeovers from Dubai bars Cirque Le Soir on Thursday, a Candypants party takeover on Friday and Faux-Asis, an Oasis tribute band on Saturday. There’s no getting away from it, the stadium is a little out of the way. If you’re making your own way there take Al Ain Road (aka Route 66) past Dubai Outlet Mall and look out for signs to the stadium on your left, just after exit 29. There’s free parking on-site, so that shouldn’t be a problem but prepare for queues on the way home. You’re absolutely spoilt for choice when it comes to what to eat. You can expect organic barbecue with chicken skewers, drumsticks and wings, pies, pizzas and picnic hampers filled with salads, pasta, cheese selections and so on. There’s also licensed tents scattered around for drinks too. You’ll find plenty of things to do in between eating and watching rugby including mini golf and rugby throwing and basketball free throws where you can practice your skills and win prizes. Not to mention the epic high dive experience, Scalextric tracks and there’s live netball taking place at the festival too. Yes you read that right, there’s free entry to the event – but only on the Thursday. If this is your first time going, the opening day is a good way to dip your feet in and see if you like it. Parking is free and there are also free shuttle buses to and from the venue. Dressing up is all part of the fun, and if you’re worried about looking silly, trust us when we say you’ll look more out of place if you don’t go in costume. 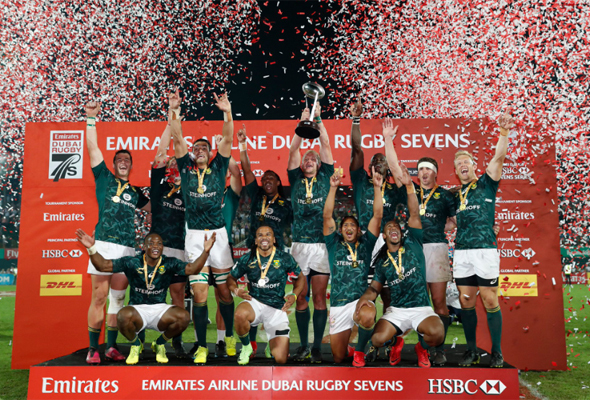 For many people this is the highlight Dubai’s social calendar and people are just there to have a good time, whether they like rugby or not. The party begins way before the doors open as fans take fancy dress shopping pretty seriously. Get your outfit sorted in plenty of time, as 10,000 others will also be on the look out for costumes, and then enjoy the party.